The 288XL Cyan cartridge retails at $29.99*. Our Rihac cartridge costs $16.00. You save $13.99 per cartridge you buy! That's almost a 50% saving. The Inklink is always the preferred alternative to single use cartridges however, the Inklink is currently in the developmental stage as are waiting on our chip manufactures to establish a resettable Epson 288 & 288XL chip. 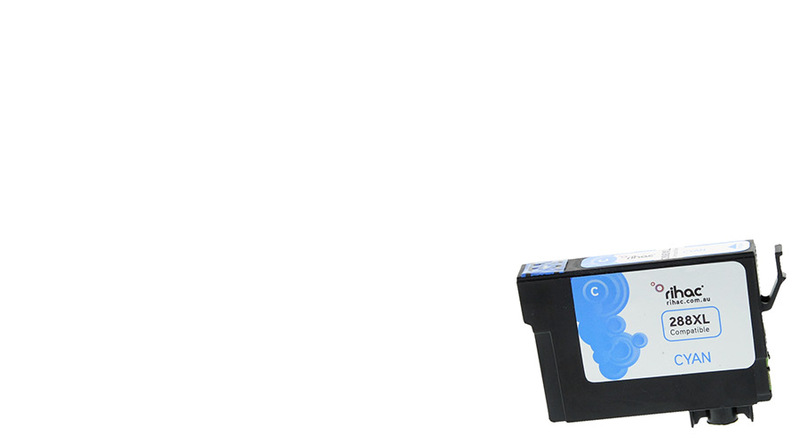 At this stage there are no resettable 3rd party products for printers using these cartridges worldwide. We are offering these single use cartridges as an alternative until we have an Inklink CISS available. This product is not sanctioned or manufactured by Epson and users must be aware that the use of third party inks and CISS systems MAY void your printer warranty. PLEASE NOTE THESE ARE NOT EPSON PRODUCTS AND NOT EPSON BRANDED INK. THE TRADE NAMES REMAIN THE PROPERTY OF THE INDIVIDUAL COMPANIES AND "EPSON" IS USED S SOLELY AS A MEANS OF CLARIFICATION.